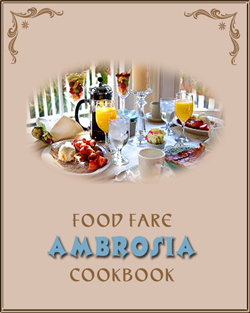 Food Fare's Ambrosia Cookbook is available from Amazon, Kobo Books and Club Lighthouse Publishing. 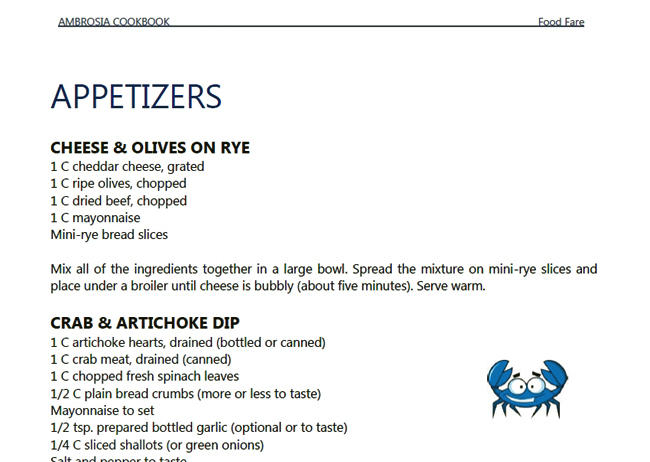 The Ambrosia Cookbook contains more than 200 recipes in all categories, along with special dishes for holidays and vegetarians, and easy-to-assemble herb and spice mixes. 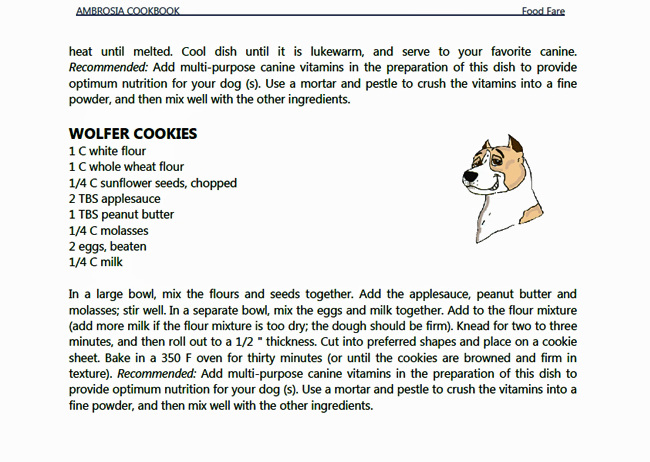 A collection of homemade recipes for cats and dogs are also included. 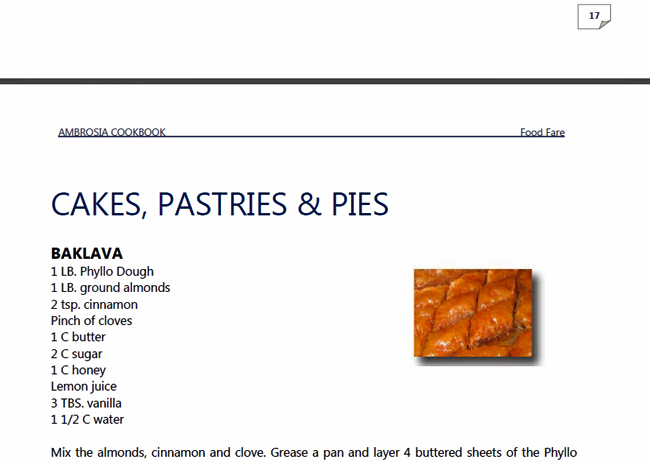 To take a look inside the Ambrosia Cookbook, select from the screenshots below. 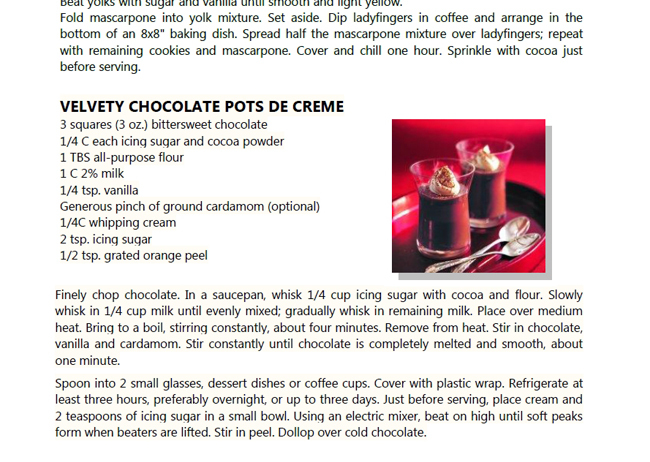 Click on images to see their larger sizes in a new window. 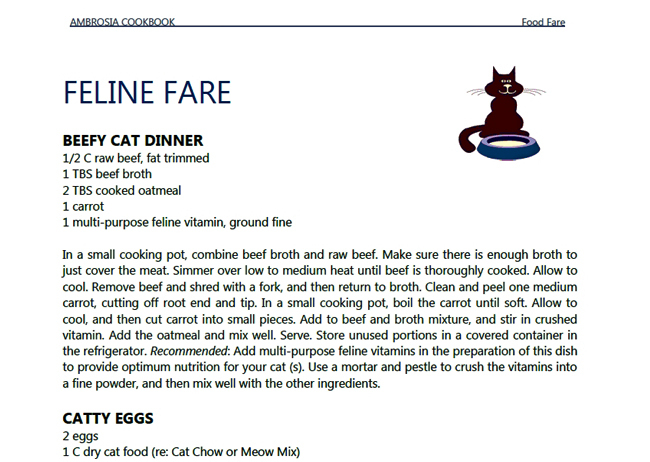 Please note: Images and specific layout only available in the PDF version of the cookbook. 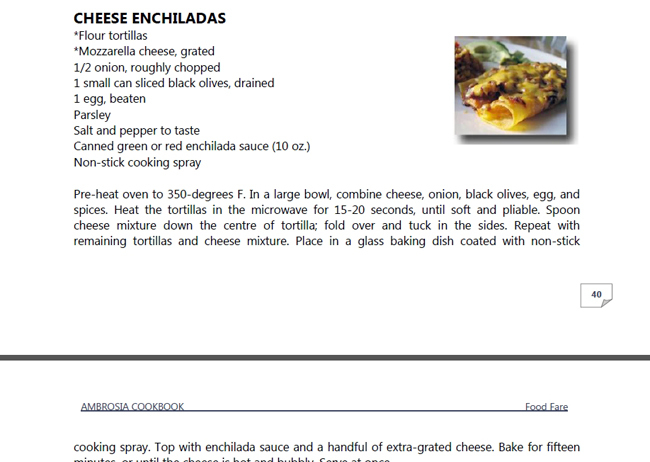 The Kindle version includes some images, but the Nook-Book (Barnes & Noble) edition does not allow for graphics inserted into text content or an index with valid page numbers. 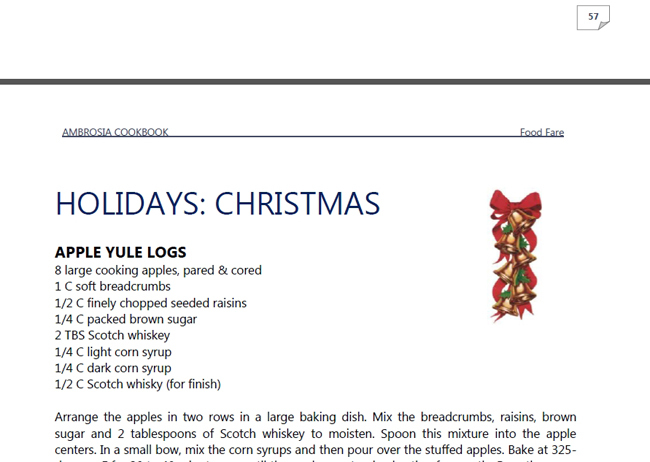 Formats: EPUB (Nook), HTML, iPhone PDF, Mobipocket (Kindle, PRC) and PDF. 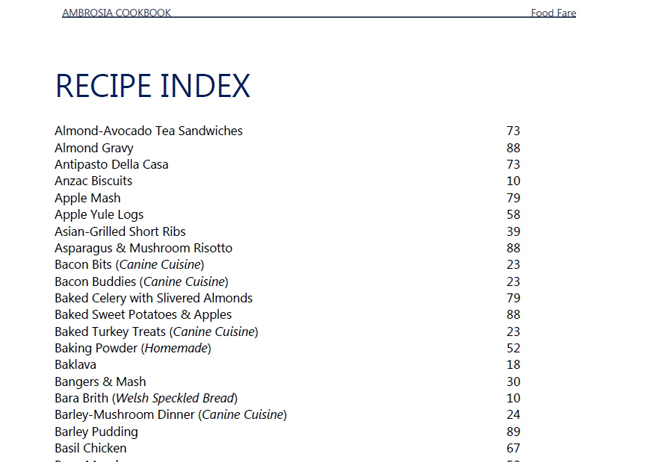 Editors: Food Fare and Club Lighthouse Publishing. Cover Design: T.L. Davison and Webs Divine.